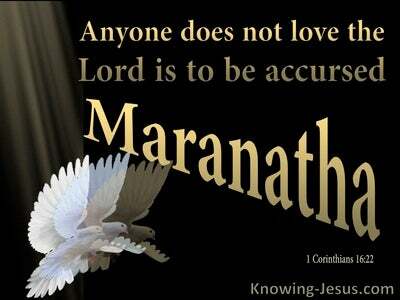 What Does 1 Corinthians 15:58 Mean? 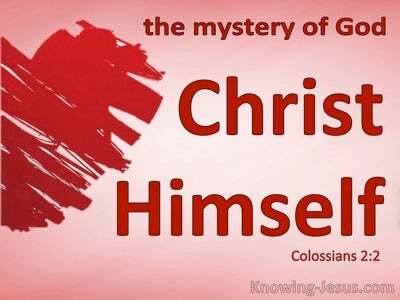 It is because of the absolute certainty of our resurrection from the dead, when we shall be clothed with a new body, like unto Christ's glorious, resurrected body of flesh and bone, that Paul devoted a whole chapter, to the important issue of the resurrection of the dead. The Corinthian Christians had become sceptical of this teaching, causing Paul to detail the whole counsel of God in this area, together with the good news of the gospel of grace, which promises eternal life to all who believe on the Person and Work of Jesus Christ, for the forgiveness of sins and life everlasting. The apostle pointed out that from the beginning, the holy Scriptures were pointing forward to the promised Messiah of God, Who was appointed to die, for the sin of the whole world, according to the Scriptures, and that He would rise again, according to those same Scriptures, so that whosever believes on Him would not perish, but have everlasting life. 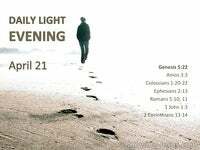 Step by step, Paul opened the truth, to these confused Christians, and answered all the questions that had caused these believers to doubt the legitimacy of the bodily resurrection. He used historical evidence, logical arguments, theological grounds and practical reasoning to show that the resurrection of the dead was a major part of God's amazing plan of salvation, for the redemption of mankind. He explained that there was an order and structure to the resurrection. 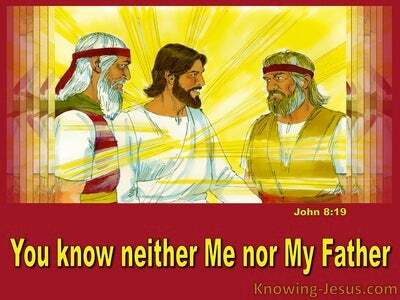 Christ was the First-fruit, and after that, old and new testament saints would be raised at God's appointed time. He laid out the moral value of the resurrection, and explained the type and glory of the body, that those who believe in Him, will one day inhabit. He reminded them that they were born into this world in a physical body, but that by faith in Christ, they would receive a new, perfect, heavenly body, like unto His glorious Body. Paul's extensive treatise on the resurrection, was written to teach the truth, and to encourage these believers.. and ALL who would place their faith in Christ, that the resurrection of the body is an indisputable, biblical truth, which we will all experience at God's appointed time. 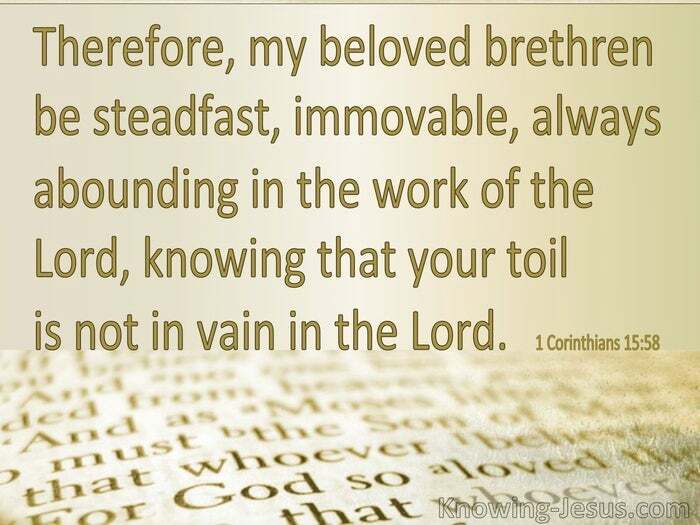 It is because of the undeniable fact of the resurrection of the body, that Paul concludes his discourse with the following instructions: therefore, my beloved brethren, be steadfast, immovable, always abounding in the work of the Lord, knowing that your toil is not in vain in the Lord. Those who believe have a most glorious assurance and thrilling confidence, that every promise of God will be fulfilled, including the resurrection of the body. 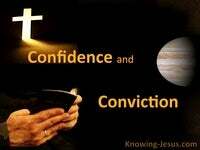 It is for that reason we should live in the light of this confident hope. Our trust in God's word should be steadfast, and our faith in Christ should be immovable - no matter what trials and tribulations we may be called upon to face. We are encouraged to be fruitful in our earthly toil and to fulfil the good work that God has given us to do, during our sojourn on earth. Let us never doubt God's word, but rejoice to follow Paul's exhortation, to fulfil our calling enthusiastically, and to remain occupied at all times, in the Lord's work, knowing that our toil is not fruitless in the Lord. The day is fast approaching when we will be clothed in our resurrection bodies, for when we see Him we shall be like Him. Praise God that we DO have a sure hope and an eternal inheritance, that was laid up for us in heaven, from the moment that we placed our trust in Christ. 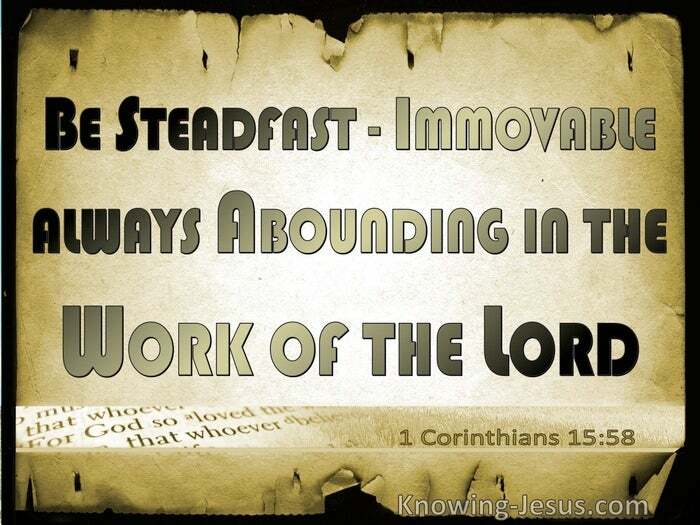 No wonder Paul calls each one of us to be steadfast, immovable, always abounding in the work of the Lord, knowing that our toil is not in vain in Him. Heavenly Father, what a glorious future You have purposed and planned for all who trust in Christ, as our God and Saviour. 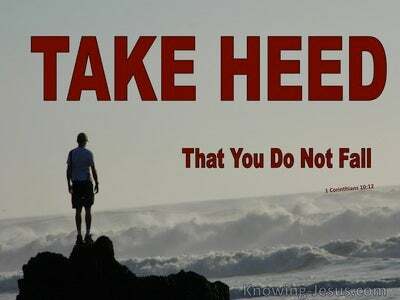 May I never doubt Your word, but enable me to be steadfast in my daily walk, and strong in my Christian faith. Help me to be productive during my time on earth and help me to carry out Your work and Your will, knowing that my toil is not fruitless in Christ. Thank You for the truth of the resurrection and the knowledge that this mortal body will put on immortality, at Your appointed time. Help me to remain occupied in the work that You have prepared for me to do - to Your praise and glory - this I ask in Jesus name, AMEN.